Kyle Abbate has come a long way. 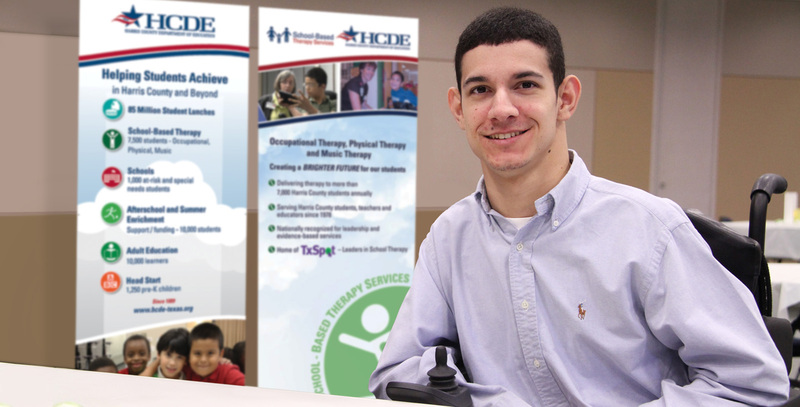 Born with cerebral palsy, Kyle began physical therapy and occupational therapy as an 18-month-old in the Katy Tyke early childhood intervention program. His therapists were provided by Harris County Department of Education’s School-Based Therapy Services division, the only education-related therapy provider in Texas helping more than 7,700 students achieve their education and career goals. In an unusual twist of fate, Kyle then worked with the same HCDE therapists from prekindergarten through his 12th grade year in Cypress Fairbanks ISD. When his Houston school therapist retired a few years ago, Kyle insisted on coming to her retirement celebration. “It’s good to have the same professional or therapist throughout the years so they get to know you both on an educational and personal level, so they understand what your goals are and where you want to go in life,” Kyle told HCDE in a recent interview. Unless you or your child has had direct experience with school-based therapy in Texas, you probably don’t think much about the challenges that schools face to provide quality occupational and physical therapy to students who need it. Congress passed the Individuals with Disabilities Education Act (IDEA) to ensure that all students with disabilities have access to a “free appropriate public education” and related services like therapy, but the responsibility to meet these requirements rests on schools. The biggest challenge is to find qualified personnel. School-based therapists are essentially dual specialists. In addition to knowing how to perform the medical and procedural tasks of their chosen type of therapy, they require additional training to understand the unique challenges of working in schools. At stake in the need for adequate training for school-based therapists is the success of students who are often mislabeled and underestimated. Kyle gives special credit to the HCDE therapists he worked with from his early childhood program through high school graduation. “[My therapist and I] do a lot of different things in the classroom to be successful, whether that’s working with assistive technologies or just doing things to make my body better and enjoy being in school,” Kyle said. Kyle knows a few things about being successful. With the help of school-based therapists in Cypress-Fairbanks ISD provided by HCDE, he graduated from Cypress Falls High School and went on to college at Texas A&M University, where he earned both bachelor’s and master’s degrees in sports management. Growing up, he always dreamed of working in sports, and since 2013 he has been back in Houston working part-time for the Houston Astros. You might assume that proper training for school-based therapy is readily available from a multitude of higher-education institutions and vendors, but you’d be wrong. 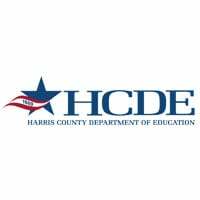 Harris County Department of Education’s School-Based Therapy Services division is the only provider of therapy resources for schools in Texas offering professional development and other services for therapists.